Click on your name in the top navigation bar to open a sidebar menu. 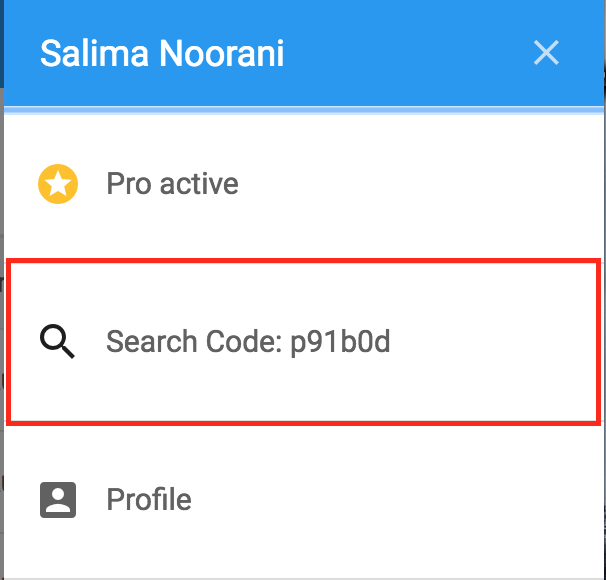 Your unique Search Code will appear in the sidebar menu. Give this code to your students. Log in to https://www.playposit.com with their username/password. Click Add Class and enter the Search Code. 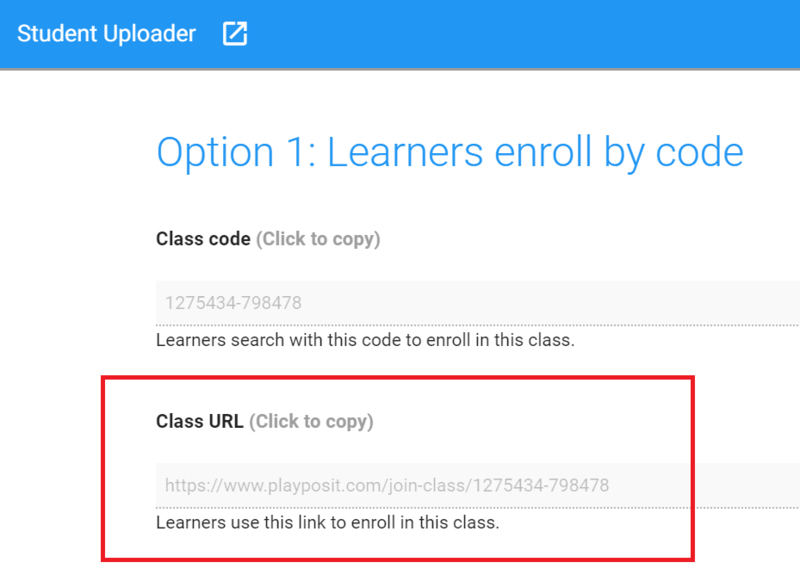 PlayPosit makes it easy for students to join your class by clicking on a single URL. 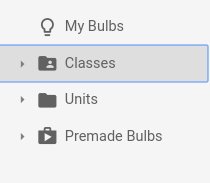 Click Classes in the left side menu. Select a class on the left side menu and click Students. Note: If you haven't uploaded students to this class the folder will be empty. Click on the Add Students icon at the top right of the course to open the Student Uploader sidebar. Find the Class URL and share with your students (e.g. email, writing on the board, etc.). After entering the Class URL, students will be prompted to log in to PlayPosit or create an account. When the student has logged in, they will see a confirmation that they have successfully joined the class. They can click Continue. The student will now be able to see the class and associated assignments. Click Classes in left side menu. Note: If you haven't uploaded students to this class, the folder will be empty. 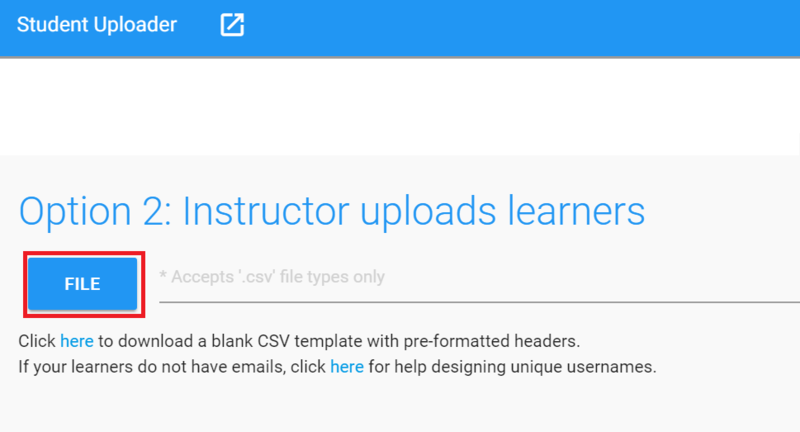 Click File to upload your .csv roster. To remove students from a course, navigate to the student roster and click the trash icon next to the student's name.